Fun show, "Pawn Stars." I particularly enjoy the sardonic grandfather and the innocent schtick of Chumley. But here's one thing about the show I don't get: The reason most people go to a pawn shop in Las Vegas is for gambling money. They need the fast cash. But many of the items we see people trying to hock would seem to fetch a much bigger price elsewhere — like on eBay, for example. Or any auction with multiple bidders. 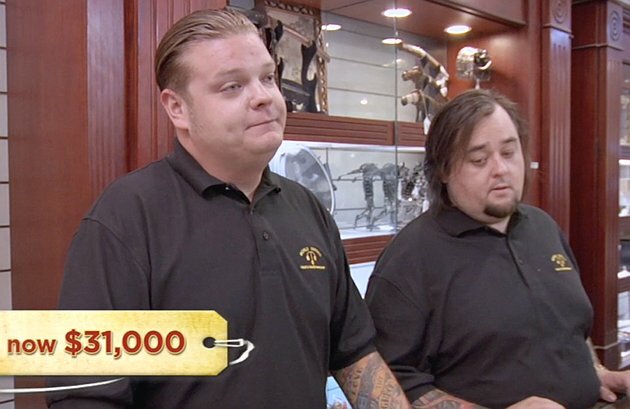 The agreed-upon price between John and shop representative Corey Harrison? $31,000. 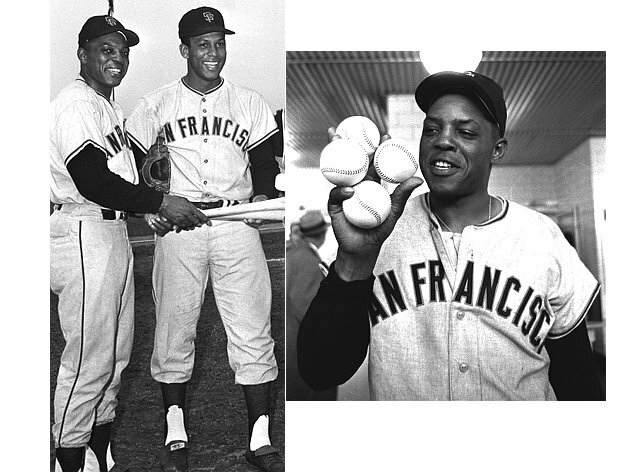 Further, as Corey pointed out, players of Mays' generation didn't get many uniforms to rotate annually. You'd figure most game-worn stuff of the time would be beat up. Apparently, these clothes just slipped through time mostly unscathed. 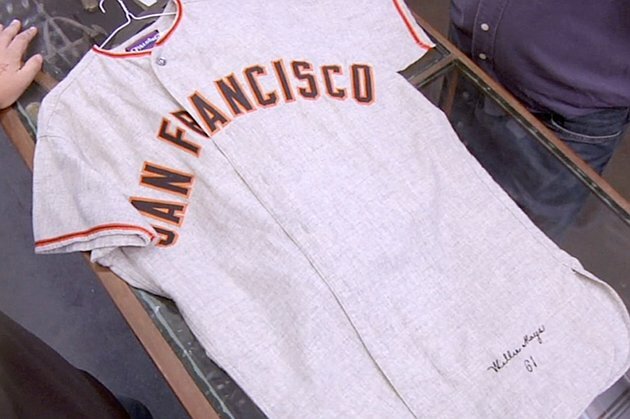 The seller didn't say so on "Pawn Stars," but I found an earlier video of him taking the jersey to "Antiques Roadshow," that modern classic from PBS. He admitted to having the garment "pressed" but said he wasn't even sure what it was made of, and seemed afraid to clean it. The man from Heritage Auctions told him it might be worth up to $35,000 — at an auction. So naturally, the man took the Mays collection to ... a pawn shop in Vegas . The pawn shop also brought in a local memorabilia expert, who said the uniform was legit. 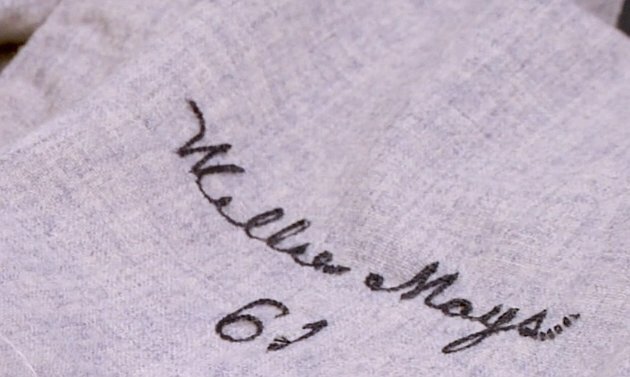 He couldn't, however, confirm that Mays ever actually wore it in a game. That detail usually keeps the price down, and probably did in this case. 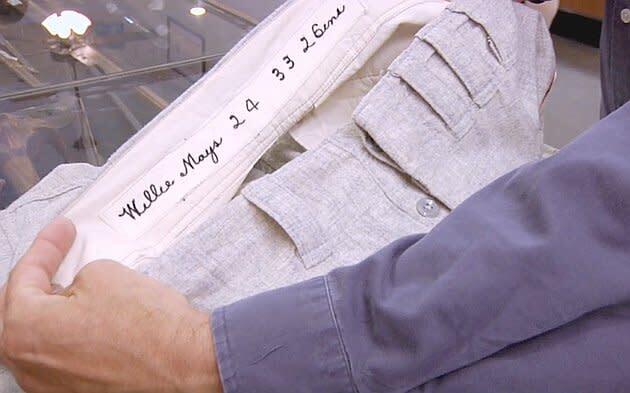 Another Mays jersey, which was proven to have been worn by him when he played for the minor-league Minneapolis Millers in 1951, went for $44,063 at auction in 2011. "I'd like to just cash in on it. I've had it sitting in the closet. It's time for it to go." Well, no sentimental hogwash there. But if it really were stuffed in a closet in a box, but preferably in a garment bag, those conditions would help to keep it fresh. Other than the uniform itself, the best part of the episode was the haggling the seller did with Corey, who obviously was trying to get off cheaply. The seller opened with $45,000, and Corey responded with $20,000. Low-ball much? He clearly was unhappy to come up to $31,000 after the guy called his bluff and said he was taking his business elsewhere. And where was that, exactly? "Cash in the Attic"?